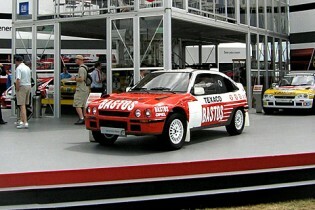 For the fifth year running we were employed to build the set for Vauxhall’s presence at the Goodwood Festival of Speed. We built a vinyl covered stage and a 10 metre tall curved wall spanning two sides of the stage comprising different coloured and sized panels. The set was held together with steel girders providing strength and durability in the face of the British weather, safely displaying 15 vintage and new Vauxhall vehicles.